Conservation finance has the potential to catalyze investments in forest health and bring much-needed resources to the table while generating a return for investors. The 2018 California wildfires were the deadliest in the state’s history. Destroying an area of more than 1.8M Acres, the fires burnt down over 18,000 homes and took 100 lives. Total monetary loss, including the cost of controlling the fires, is estimated to be in excess of $3.5B. Despite the tragic loss of lives, nature, and public funds, proven approaches to reduce the risk of catastrophic wildfires consistently do not receive the budget they deserve. 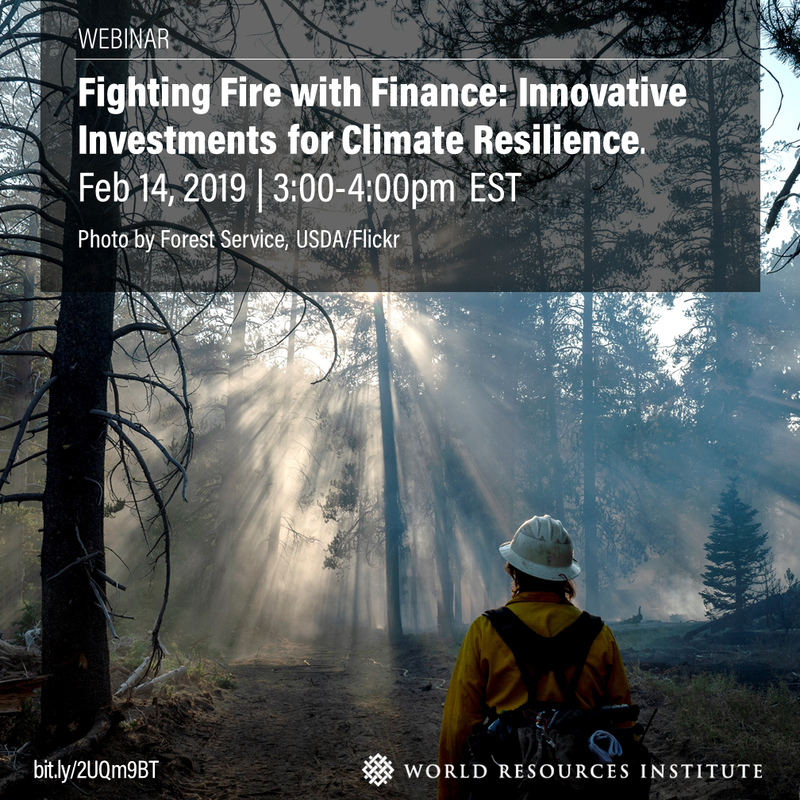 In our upcoming webinar, “Fighting Fire with Finance: Innovative Investments for Climate Resilience,” we highlight the challenge of overgrown forests, the opportunity for collaborative approaches like the Forest Resilience Bond, and the impacts of accelerating the pace and scale of forest restoration. With diverse perspectives ranging from the US Forest Service to the groups actively developing and funding investment solutions, we dig deeper into the Forest Resilience Bond and discuss the need and impact of the innovative model.